By default, Windows Defender is set in a low protection level so you’ll get less false positives. In this tutorial we’ll show you how to increase the cloud-delivered protection level in Windows 10 to make Windows Defender more proactive in scanning and detecting suspicious files. 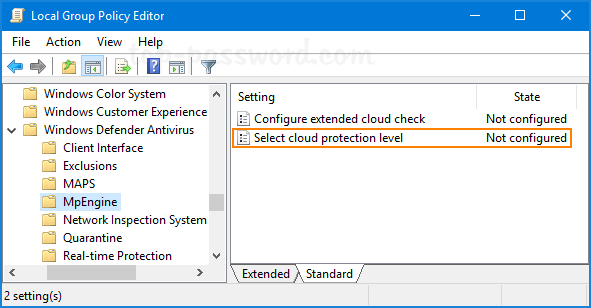 How to Change Cloud-delivered Protection Level in Windows 10? 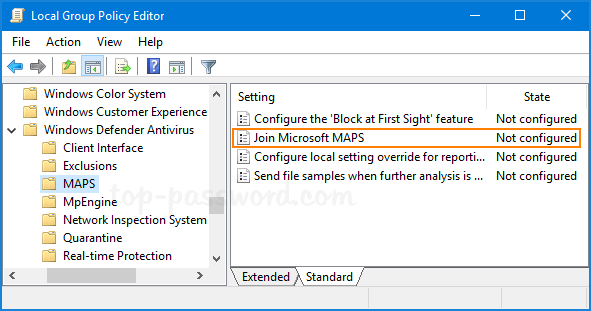 To get started, you need to open the Local Group Policy Editor. 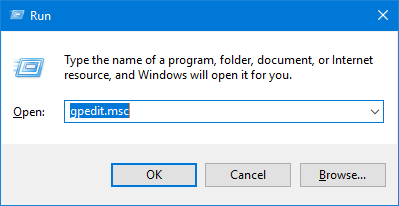 Use the Windows key + R keyboard shortcut to open the Run command, enter gpedit.msc and press Enter. 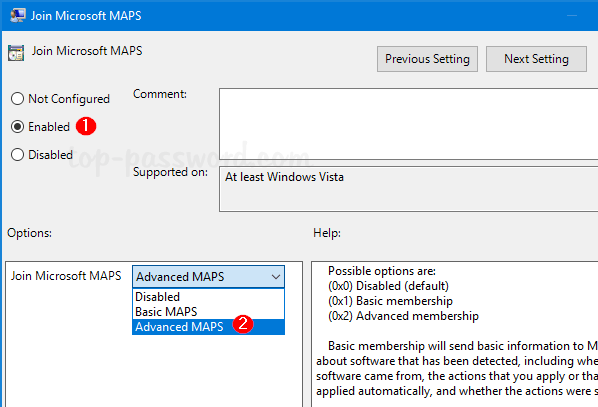 and then double-click the “Join Microsoft MAPS” policy on the right side. Select Enabled and then move to the drop-down box to select “Advanced MAPS“. Click OK.
Switch to the MpEngine folder on the left panel. On the right panel double-click on the policy “Select cloud protection level“. 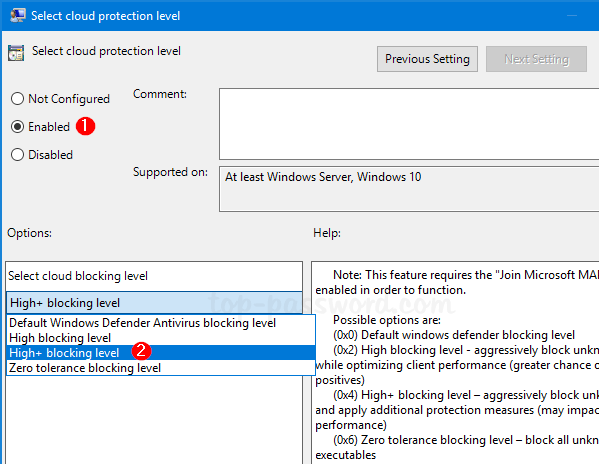 Select Enabled and then pick up the “High+ blocking level” option to increase the cloud protection level on your Windows 10 computer. Click OK and restart your computer. Windows Defender will scan and block suspicious files more proactively. 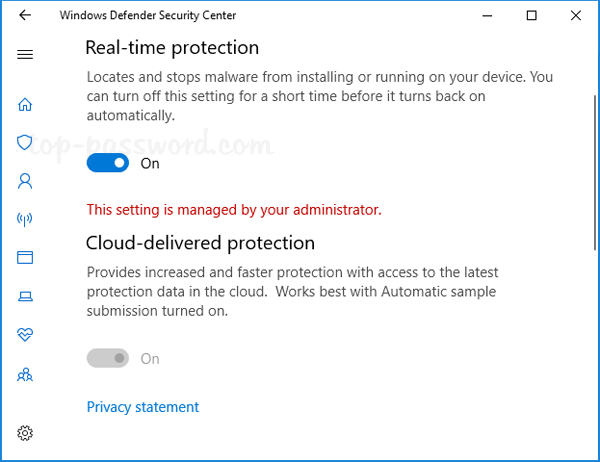 Note: After you’ve applied GPO to change the cloud protection level, the option to turn off cloud-delivered protection in Windows Defender will be greyed out.